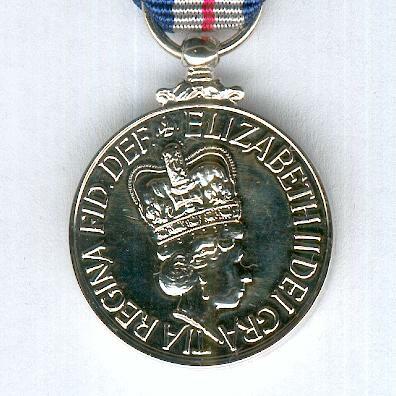 Miniature circular silvered medal with scroll and laterally-pierced ball suspension; the face with the head of Queen Elizabeth II wearing the St. Edward Crown and facing right, circumscribed ‘ELIZABETH II DEI GRATIA REGINA FID. DEF. 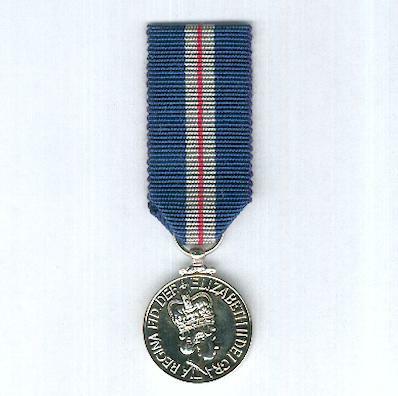 (Elizabeth II by the Grace of God Queen, Defender of the Faith); the reverse inscribed ‘THE QUEEN’S GALLANTRY MEDAL’, the St Edward Crown above, stylised laurel sprays above left and right; diameter 18.28mm (0.72 inch); on original ribbon. 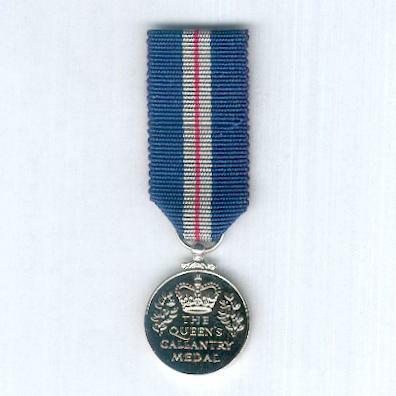 The Medal was instituted on 20 June1974 to be awarded for ‘exemplary acts of bravery’ and replaced the Order of the British Empire, the British Empire Medal and the Colonial Police Medal when awarded for gallantry. 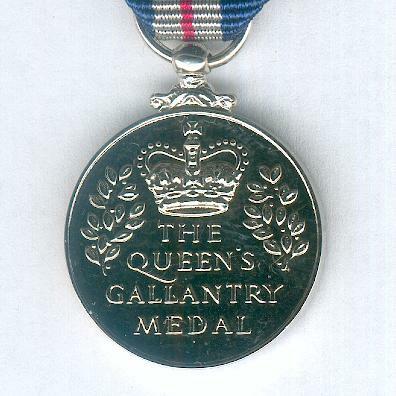 Since 30 November 1977 its award may be made posthumously and from that date it also replaced the Queen's Police Medal when awarded for gallantry.